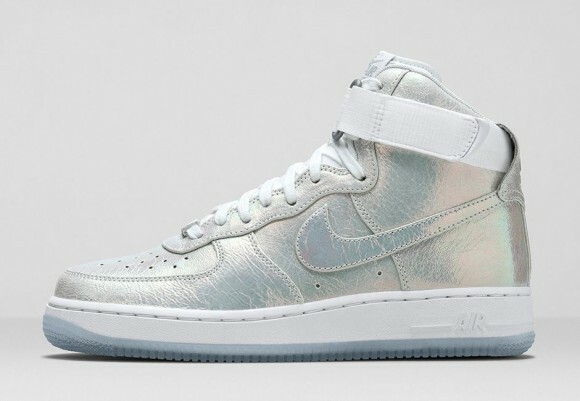 The Nike WMNS Air Force 1 Iridescent Pearl Collection drops Friday, September 12, 2014 at 8:00 a.m. EDT. 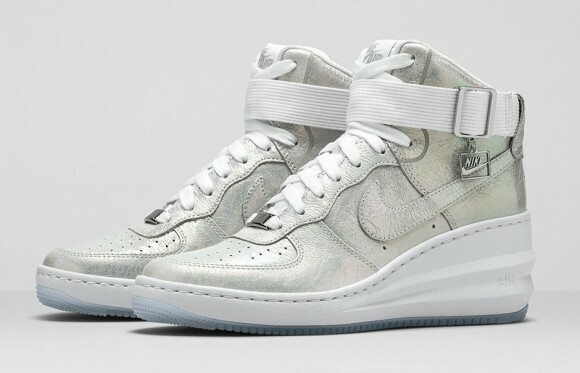 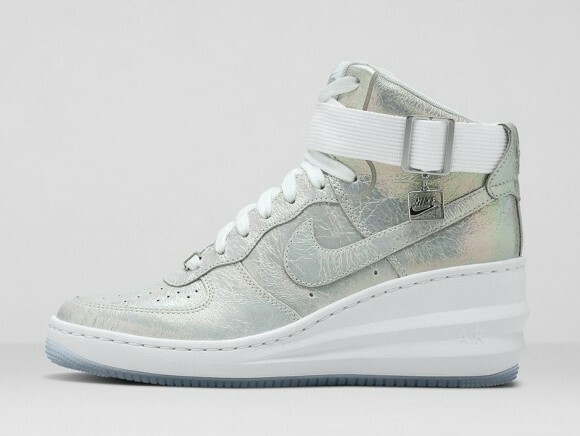 This two-part, hightop WMNS pack features the Air Force 1 Hi and the Lunar Force Sky Hi. 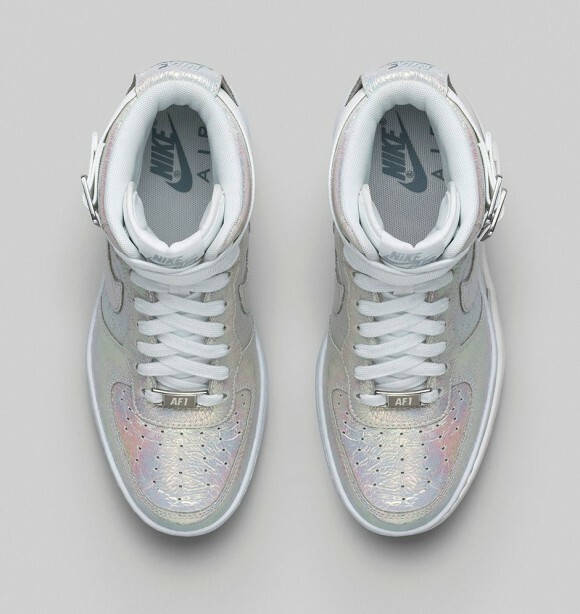 Both get a pretty awesome what-seems-to-be-leather crackle iridescent upper that sits on a white midsole. 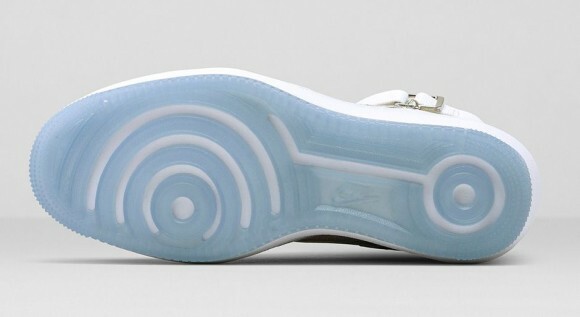 Outsoles are icy on these “gems,” with white straps to accent them. 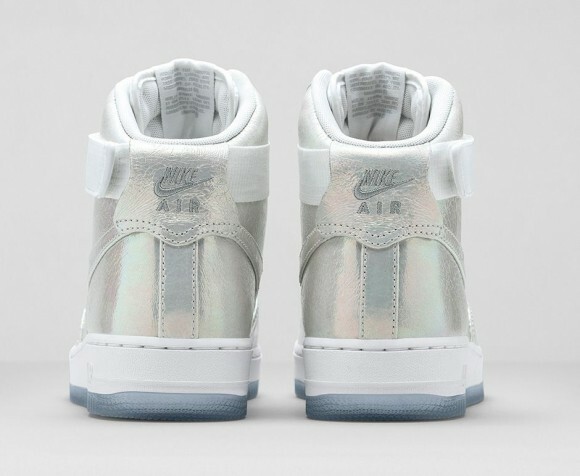 The Air Force 1 His get red insoles while the Lunar Sky His get white insoles. 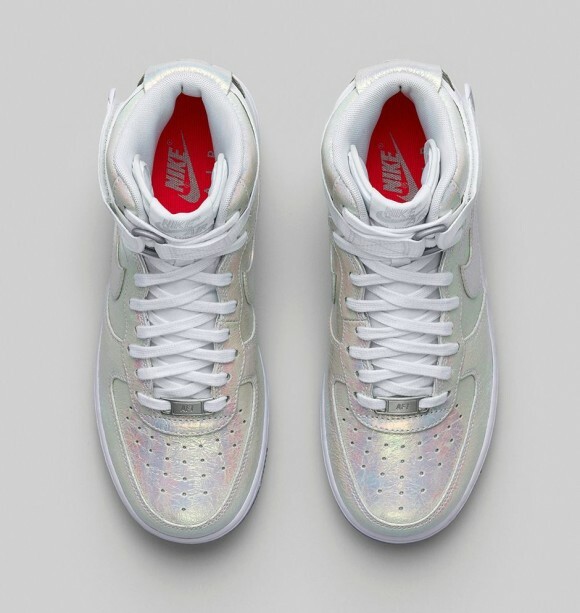 If the entire wedge of the Lunar Force Sky His is Lunarlon I will be jealous. 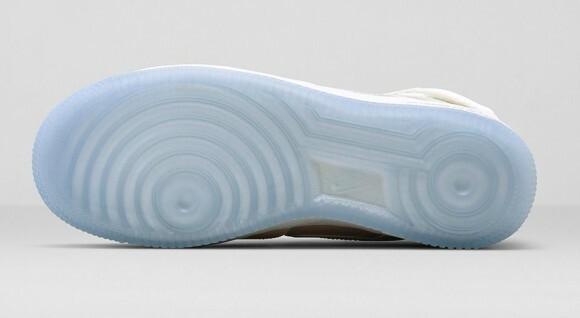 I have always found that there isn’t always enough Lunarlon in some of the Nike runners. 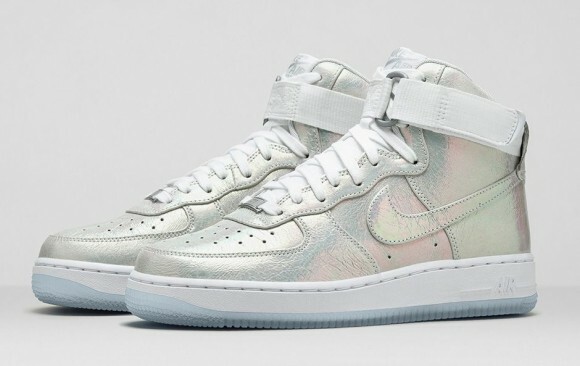 The Nike WMNS Air Force 1 Iridescent Pearl Collection will be great for those that want to finish off summer shining. 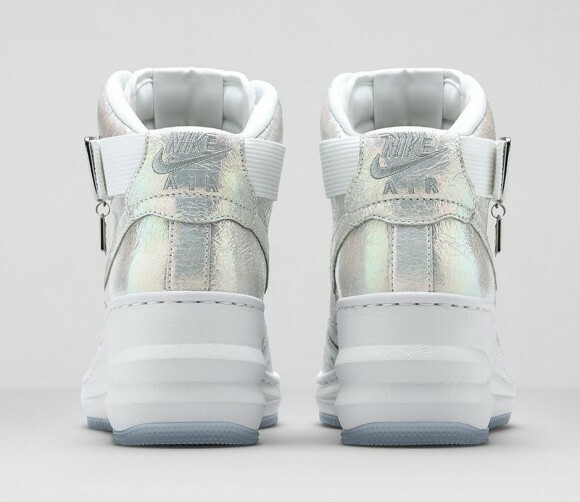 Let us know if you pick up a pair (whether for yourself or for your partner) and stay tuned to WearTesters.com for more sneaker news.